Guest House Locks, for B & B’s and Air B & B operations. 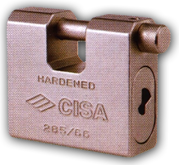 We offer low-cost stand alone Guest House Locks. Easy to fit – No cabling or power supplies needed. 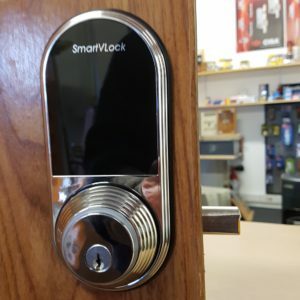 We have locks that can be operated by using Pin-Codes, BlueTooth, biometrics (fingerprints), tags, cards and keys. The two examples shown on this page are very well suited to use in Guest-houses, B & B’s and Air-B & B operations. Order F427 76 011 Quick and easy to fit! Guest access can be easily granted or denied remotely. The Manager can allocate valid days and times to each Guest or Guest House individually without having to visit the site. The Guest requires only a Smart phone or Tablet using BlueTooth to gain access. The Guest access is only valid for the days allocated, and expires on the day and at the time set by the Manager. Nothing for Guests to carry – and nothing to lose! Also Pin code and Key by-pass operation from outside. Exit always free from inside using the thumbturn. Battery operated with low battery warning. NO wires or power supply needed. F427 76 001 locks automatically whenever the door is closed. 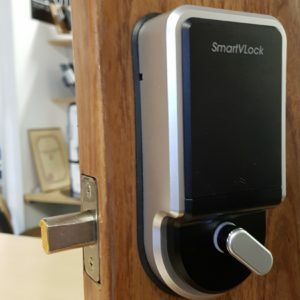 Suited for Guest Houses and B & B’s with short or long-term Guests where biometric (fingerprint) or digital operation is needed for staff or longer-term guests. The Manager can delete the fingers, pin-codes or BlueTooth access of other users at will. Battery operated with low battery warning. NO wires or power supplies needed. Quick and easy to fit. Nothing for Guests to carry – and nothing to lose! Available in silver finish – or Bronze as illustrated at right. D. Miller Sales and Security cc 1989/007404/23 trading as The Lockshop, DMS Security Solutions, and as David Miller Security.